Friends Quiz: How Well Do You Know Chandler Bing? Could this quiz BE any more difficult? Chandler Bing bumbled his way into our lives back in 1994 along with rest of the Friends crew, solidifying the sarcasm-conquers-all archetype of the 90’s, and has gone on to create many memorable moments as laughable as they are awkward. 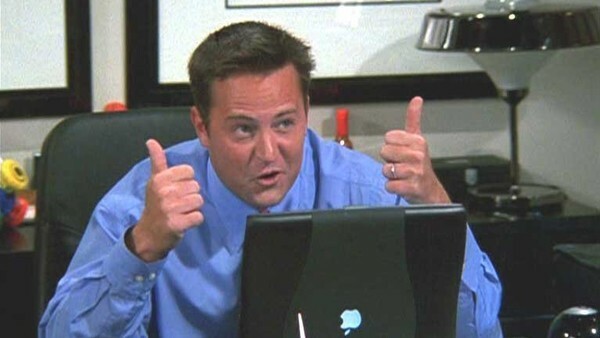 Perfectly portrayed by Matthew Perry, Chandler is a train wreck of comical mishaps and relationships. The character has evolved throughout each series to develop into one of the most complex and lovable characters on TV. From the Janice saga, to the infamous name on the TV guide, Chandler has never failed to create laughs. You won't find any easy trivia here, only Monica could get all of these questions correct. How well do you really know Chandler Bing? 1. What Was Chandler’s Job Before He Went Into Advertising?